William Wordsworth was an early leader of romanticism (a literary movement that celebrated nature and concentrated on human emotions) in English poetry and ranks as one of the greatest lyric poets in the history of English literature. William Wordsworth was born on April 7, 1770, in Cookermouth, Cumberland, England, the second child of an attorney. Unlike the other major English romantic poets, he enjoyed a happy childhood under the loving care of his mother and was very close to his sister Dorothy. As a child he wandered happily through the lovely natural scenery of Cumberland. In grammar school, Wordsworth showed a keen interest in poetry. He was fascinated by the epic poet John Milton (1608–1674). From 1787 to 1790 Wordsworth attended St. John's College at Cambridge University. He always returned to his home and to nature during his summer vacations. Before graduating from Cambridge, he took a walking tour through France, Switzerland, and Italy in 1790. The Alps made an impression on him that he did not recognize until fourteen years later. French language. His experience in France just after the French Revolution (1789; the French overthrew the ruling monarchy) reinforced his sympathy for common people and his belief in political freedom. Wordsworth fell passionately in love with a French girl, Annette Vallon. She gave birth to their daughter in December 1792. However, Wordsworth had spent his limited funds and was forced to return home. The separation left him with a sense of guilt that deepened his poetic inspiration and resulted in an important theme in his work of abandoned women. Wordsworth's first poems, Descriptive Sketches and An Evening Walk, were printed in 1793. He wrote several pieces over the next several years. The year 1797 marked the beginning of Wordsworth's long friendship with Samuel Taylor Coleridge (1772–1834). Together they published Lyrical Ballads in 1798. Wordsworth wanted to challenge "the gaudiness [unnecessarily flashy] and inane [foolish] phraseology [wording] of many modern writers." Most of his poems in this collection centered on the simple yet deeply human feelings of ordinary people, phrased in their own language. His views on this new kind of poetry were more fully described in the important "Preface" that he wrote for the second edition (1800). Wordsworth's most memorable contribution to this volume was "Lines Composed a Few Miles Above Tintern Abbey," which he wrote just in time to include it. This poem is the first major piece to illustrate his original talent at its best. It skillfully combines matter-of-factness in natural description with a genuinely mystical (magical) sense of infinity, joining self-exploration to philosophical speculation (questioning). The poem closes on a subdued but confident reassertion of nature's healing power, even though mystical insight may be obtained from the poet. In its successful blending of inner and outer experience, of sense perception, feeling, and thought, "Tintern Abbey" is a poem in which the writer becomes a symbol of mankind. The poem leads to imaginative thoughts about man and the universe. This cosmic outlook rooted in the self is a central feature of romanticism. Wordsworth's poetry is undoubtedly the most impressive example of this view in English literature. Wordsworth, even while writing his contributions to the Lyrical Ballads, had been feeling his way toward more ambitious schemes. He had embarked on a long poem in unrhymed verse, "The Ruined Cottage," later referred to as "The Peddlar." It was intended to form part of a vast philosophical poem with the title "The Recluse, or Views of Man, Nature and Society." This grand project never materialized as originally planned. Abstract, impersonal speculation was not comfortable for Wordsworth. He could handle experiences in the philosophical-lyrical manner only if they were closely related to himself and could arouse his creative feelings and imagination. During the winter months he spent in Germany, he started work on his magnum opus (greatest work), The Prelude, or Growth of a Poet's Mind. It was published after his death. However, such a large achievement was still beyond Wordsworth's scope (area of capabilities) at this time. It was back to the shorter poetic forms that he turned during the most productive season of his long literary life, the spring of 1802. The output of these fertile (creative) months mostly came from his earlier inspirations: nature and the common people. During this time he wrote "To a Butterfly," "I Wandered Lonely as a Cloud," "To the Cuckoo," "The Rainbow," and other poems. The crucial event of this period was Wordsworth's loss of the sense of mystical oneness, which had sustained (lasted throughout) his highest imaginative flights. Indeed, a mood of despondency (depression) descended over Wordsworth, who was then thirty-two years old. In the summer of 1802 Wordsworth spent a few weeks in Calais, France, with his sister Dorothy. Wordsworth's renewed contact with France only confirmed his disillusionment (disappointment) with the French Revolution and its aftermath. During this period Wordsworth had become increasingly concerned with Coleridge, who by now was almost totally dependent upon opium (a highly addictive drug) for relief from his physical sufferings. Both friends came to believe that the realities of life were in stark contradiction (disagreement) to the visionary expectations of their youth. Wordsworth characteristically sought to redefine his own identity in ways that would allow him a measure of meaning. The new turn his life took in 1802 resulted in an inner change that set the new course his poetry followed from then on. Poems about England and Scotland began pouring forth from Wordsworth's pen, while France and Napoleon (1769–1821) soon became Wordsworth's favorite symbols of cruelty and oppression. His nationalistic (intense pride in one's own country) inspiration led him to produce the two "Memorials of a Tour in Scotland" (1803, 1814) and the group entitled "Poems Dedicated to National Independence and Liberty." The best poems of 1802, however, deal with a deeper level of inner change. In Wordsworth's poem "Intimations of Immortality" (March–April), he plainly recognized that "The things which I have seen I now can see no more"; yet he emphasized that although the "visionary gleam" had fled, the memory remained, and although the "celestial light" had vanished, the "common sight" of "meadow, grove and stream" was still a potent (strong) source of delight and solace (comfort). Thus Wordsworth shed his earlier tendency to idealize nature and turned to a more sedate (calm) doctrine (set of beliefs) of orthodox Christianity. Younger poets and critics soon blamed him for this "recantation" (renouncing), which they equated with his change of mind about the French Revolution. His Ecclesiastical Sonnets (1822) are clear evidence of the way in which love of freedom, nature, and the Church came to coincide (come together at the same time) in his mind. Nevertheless, it was the direction suggested in "Intimations of Immortality" that, in the view of later criticism, enabled Wordsworth to produce perhaps the most outstanding achievement of English romanticism: The Prelude. He worked on it, on and off, for several years and completed the first version in May 1805. The Prelude can claim to be the only true romantic epic (long, often heroic work) because it deals in narrative terms with the spiritual growth of the only true romantic hero, the poet. The inward odyssey (journey) of the poet was described not for its own sake but as a sample and as an adequate image of man at his most sensitive. Wordsworth shared the general romantic notion that personal experience is the only way to gain living knowledge. The purpose of The Prelude was to recapture and interpret, with detailed thoroughness, the whole range of experiences that had contributed to the shaping of his own mind. Wordsworth refrained from publishing the poem in his lifetime, revising it continuously. Most important and, perhaps, most to be regretted, the poet also tried to give a more orthodox tinge to his early mystical faith in nature. Wordsworth's estrangement (growing apart) from Coleridge in 1810 deprived him of a powerful incentive to imaginative and intellectual alertness. Wordsworth's appointment to a government position in 1813 relieved him of financial care. Wordsworth's undiminished love for nature made him view the emergent (just appearing) industrial society with undisguised reserve. He opposed the Reform Bill of 1832, which, in his view, merely transferred political power from the land owners to the manufacturing class, but he never stopped pleading in favor of the victims of the factory system. 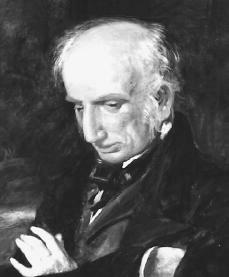 In 1843 Wordsworth was appointed poet laureate (official poet of a country). He died on April 23, 1850. Davies, Hunter. William Wordsworth: A Biography. New York: Atheneum, 1980. Gill, Stephen. William Wordsworth: A Life. New York: Oxford University Press, 1989. Johnston, Kenneth R. The Hidden Wordsworth: Poet, Lover, Rebel, Spy. New York: W. W. Norton, 1998. Negrotta, Rosanna. William Wordsworth: A Biography with Selected Poems. London: Brockhampton, 1999. Thanks for providing me a great deal of knowledge about William Wordsworth.